I might even have liked it better if I had used four different prints so that the white one wasn’t as dominant as it is now. But at least I reached my goal: no national socialism in this block. 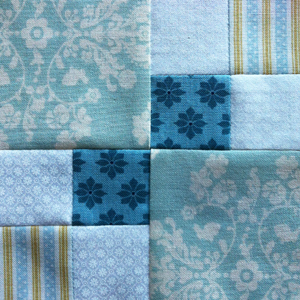 Posted in Uncategorized and tagged basket weave, basket weave block, farmer's wife, farmer’s wife quilt, quilt, quilt block. Bookmark the permalink. In this block, I did what I always wanted to do ever since I bought these two prints: I used them in one block, and only them. I thought it would happen earlier but it seems I had no opportunity so far. 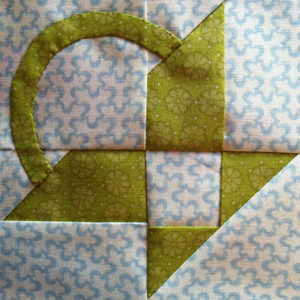 With this block, I think it is essential to use only two different prints. I saw examples where the centre square or even the centre strip had different prints/colours, thus totally destroying the motif. You were never able to see any bat in them. Keeping it simple is often a good design recipe, anyway. 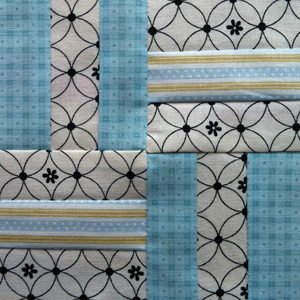 Posted in Uncategorized and tagged bat wing, bat wing block, farmer's wife, farmer’s wife quilt, quilt, quilt block. Bookmark the permalink. The Big Dipper is the constellation that is called “great bear” or “big trolley” in German, or “the Plough” in English. I cannot see why this block is named after this constellation. But I made the amazing discovery that it looks definitely different when set on point—much better, in fact! 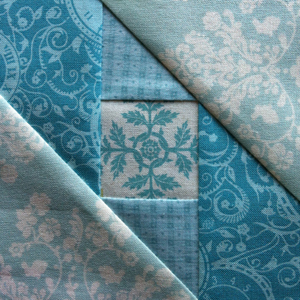 I saw examples of this block using three or even four different prints, thus carving out the center pinwheel much better than in this two-print version. But I still decided on two prints because I like the idea of seeing as much as possible in this block. By the way, I did not paper piece this one. Instead, I measured the final length at the side of the quarter square triangle, added 1.25 inch to this and cut squares of this size. 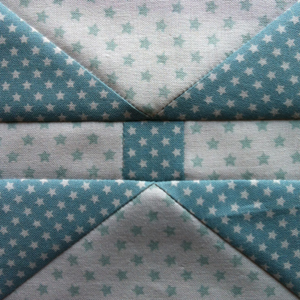 Out of two squares of a different print you get two quarter square triangle squares. 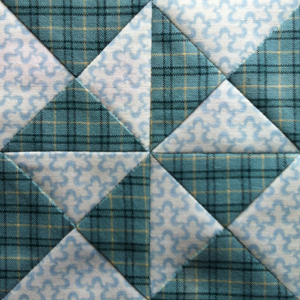 Posted in Uncategorized and tagged big dipper, big dipper block, farmer's wife, farmer’s wife quilt, quilt, quilt block. Bookmark the permalink.